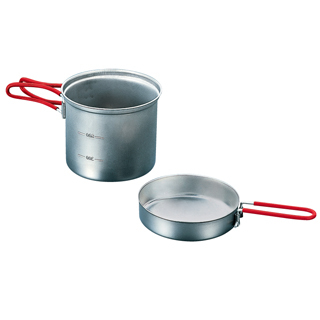 Our ultralight pots are specifically designed for backpackers who need reliable, light weight cookware to keep their packs as light as possible. 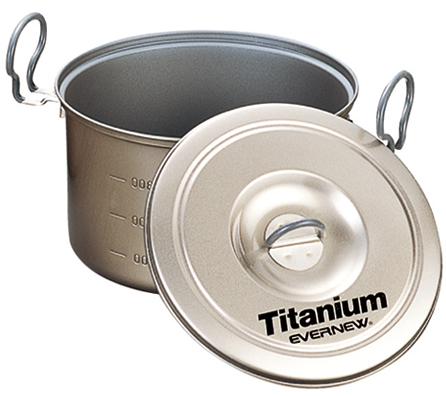 Evernew Ultralight pots are designed to be the lightest on the market without compromising reliability. We have accomplished this by eliminating the coating and using thinner Titanium. The thickness of the titanium we use in the ultralight series is 0.3mm which makes it 20% lighter than the industry standard of 0.4mm. We have developed a way to cold forge the titanium to sustain the products durability. 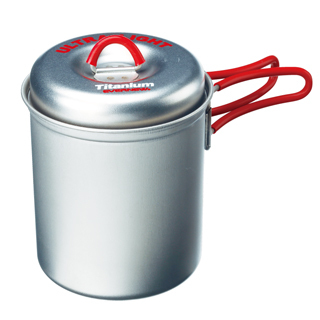 We have added a unique lid to help you drain water from whatever you may be cooking. Both of these models are designed to nest with your micro stove or each other. EVERNEW Cross Stand 2 fits perfectly on EVERNEW Alcohol Stove and gives an optimal height to it for better combustion efficiency. Stores flat on the bottom of EVERNEW Ti Cup 400FD. It can be used with solid fuel as well. Lightweight titanium cup with foldable handles. Gradations are stamped for easy measurement. Large surface area improves heating efficiency. 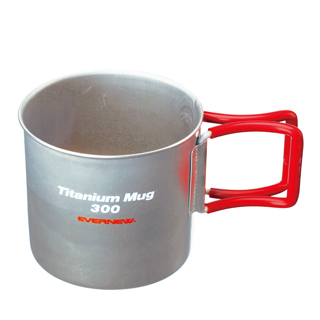 EVERNEW Ti Mug 400FD can be nested inside. This lid fits perfectly on EVERNEW Ti Cup 570FD. Can be used as a dish as well as a lid. 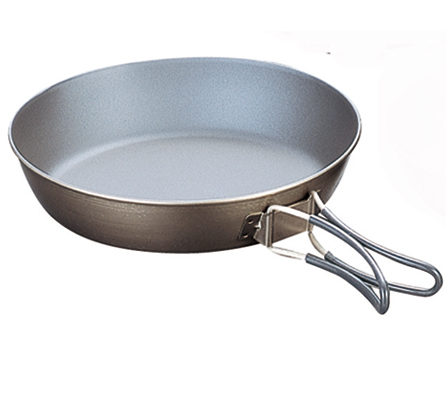 Made with 100% titanium, the non-stick products are here to make cooking simpler out in the backcountry without sacrificing weight or durability. Evernew has developed a range of cookware with Non-Stick Coating using an organic Non-teflon, Silicone based ceramic coating. 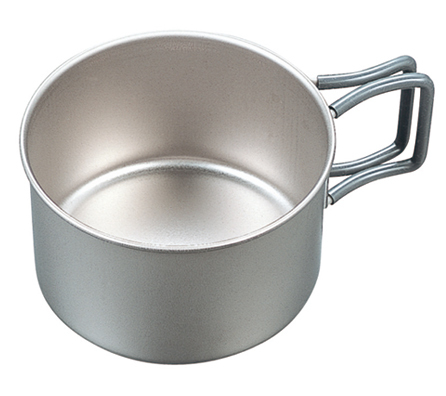 Our cookware is PFOA FREE. All our Non-Stick Series Products come with insulated handles with heat resistant silicone, a mesh stuff sack and gradations for easy measurement. Tested in the mountains and manufactured in Japan, our alcohol stove is a unique piece of gear developed to keep your kitchen in the wilderness simple and light. 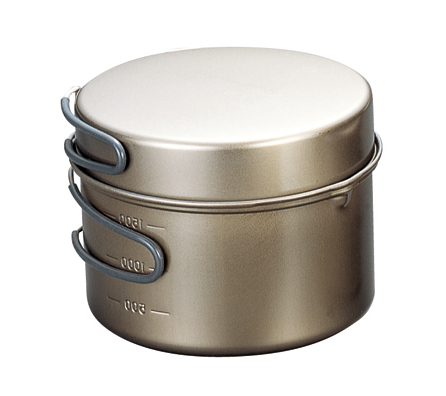 With this ultra portable stove we made it easy for you to travel wherever you may desire with a kitchen weighing less than 6 ounces. Don't lug around a heavy, space wasting canister anymore. 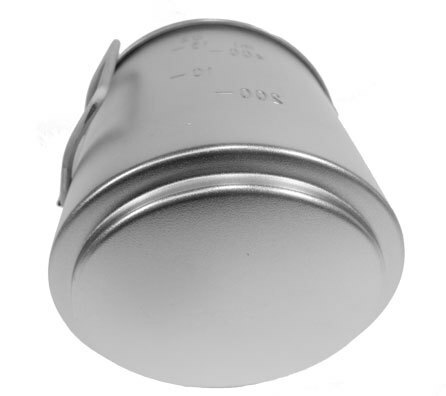 With an alcohol stove, you have the benefits of an easy, hot stove without the weight and cost of butane/propane. Please only use Denatured Alcohol. It is a cheap gas that is easily purchased around the world. We recommend this stove to cycle tourers, backpackers, and anyone who is traveling and wants to have a minimalist kitchen. This ultra light backpacking kitchen comes with a 500ml ultralight pot (ECA 266) + multi fuel stove + pot stand + windscreen. 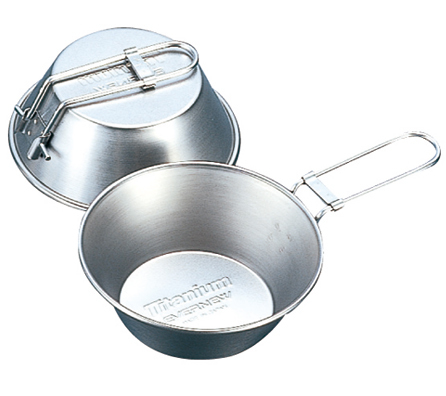 We have designed our 500ml and 900ml Ti Mug pots to have a ridge on the base to keep the pot stable on the stove. If your interested in the Appalachian set but already have a pot, look at our DX set which comes with the stove, pot stand and windscreen. All made from 100% titanium in Japan. Use it to burn wood if you run out of fuel or if you don't have a stove. 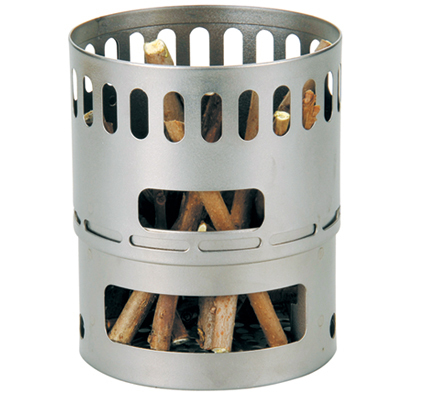 Our DX set is for someone who has a stove or wants to have a lightweight, compact wood burner. 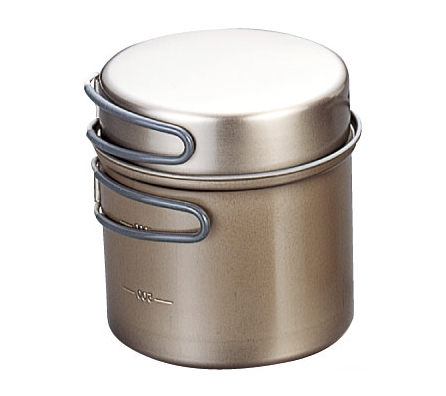 This pot is made for our alcohol stove for the minimalist user. 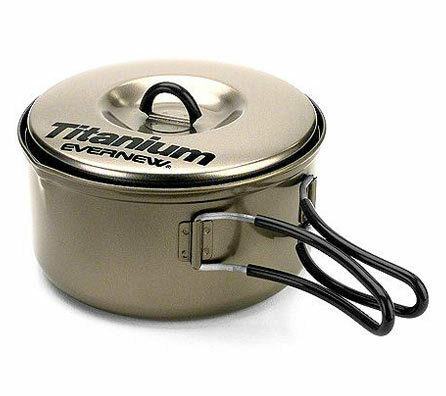 Weighing only half an ounce, this is a perfect piece of gear if you are looking for the smallest package for your Evernew stove. Wide enough pots and stable enough to cook over, this cross stand will hold your cookware above your Evernew Stove. Our cross stand will also fit on top of the DX set for extra height. 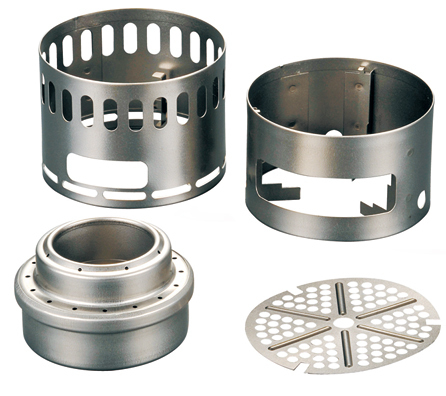 Cooking with a alcohol stove is now easier and lighter than ever. If you have any questions regarding our stove and stove stands please let us know. 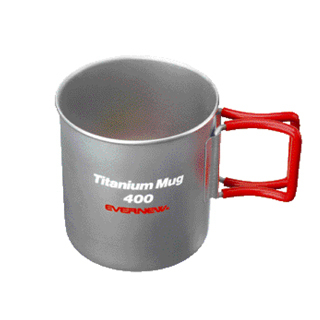 Evernew offers the widest variety of titanium mugs available today. We offer different sizes and constructions for the needs of different adventurers. 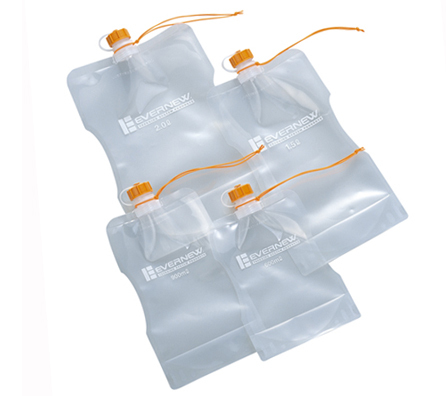 Our collapsible water carriers come in 4 sizes with unique features only available from the Evernew water carrier range. All our water carriers come with a built in shock cord for storage, 3 layer polyethylene construction, antibacterial treatment, attached textured cap and a tapered body allowing it to stand on a flat surface when full. An added bonus is that they are compatible with the Sawyer Water Filtration System.